It's like shopping over 100 families' sales at once! Want an easy way to turn your kids’ clutter into cash? Make hundreds and sell it all in one weekend! Registration for Fall 2019 KSR opens in June! Are you tired of the Buy/Sell/Trade Groups? 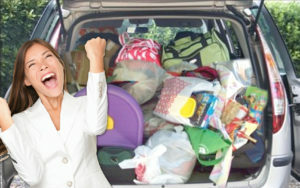 The whole "clearing the clutter" thing has the potential to be time-consuming and, in some cases, not profitable. Eliminate the stress!! Do it all at once. 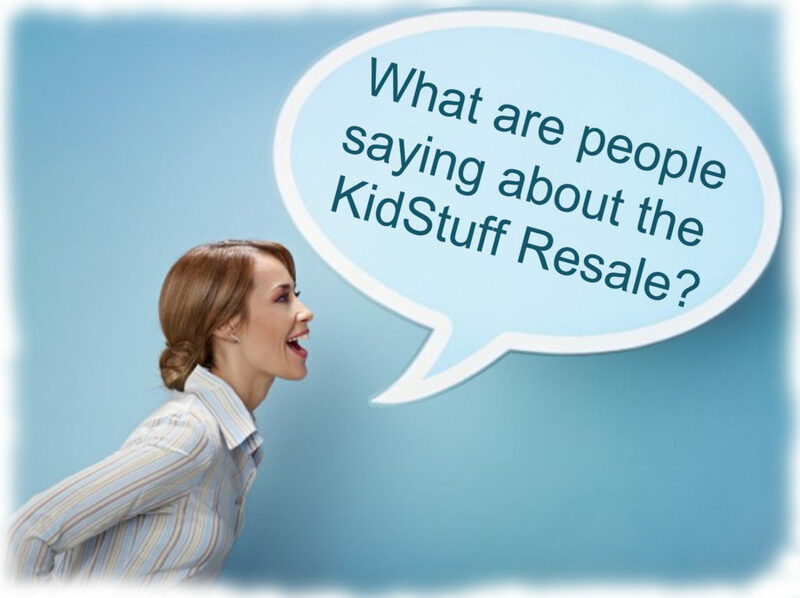 Selling at the KidStuff Resale means a bigger check with less frustration!! 4. We'll mail you a check for 65% of your earnings or 70% if you also volunteer! Is Selling at the KSR Worth it? No more waiting for NO-SHOWS from Buy/Sell/Trade groups. What are people saying about the KSR? "Awesome sale. I look forward to every sale to sell and buy, and of course, volunteer." - Meghan A. "It is the only sale I always make the time to go to." - Meg S.
"Have gone multiple times and always has great items" - Kate L.
"Both my mom & I LOVE this resale! It's always clean, organized, & great people. Always find great bargains on gently used clothes & sometimes new." - Lisa F.
Sign up NOW to make some money! That's ok! Volunteer! 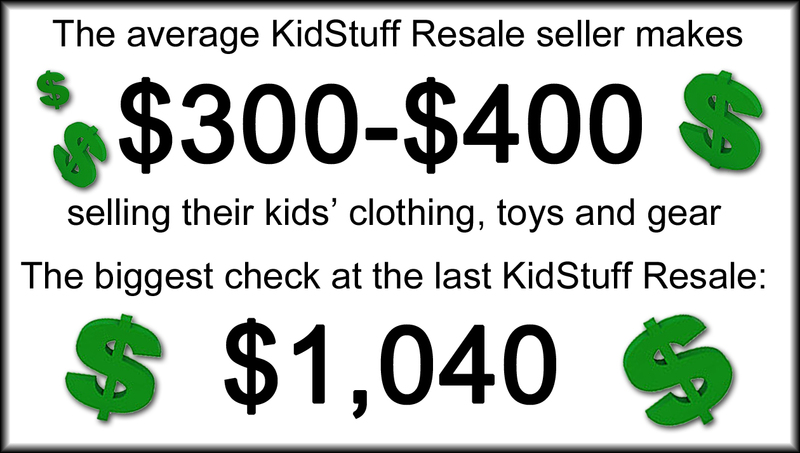 You can shop early and see how the KidStuff Resale works! Print a KidStuff Resale flyer to share! Take a look at the Seller Reference Guide. ???? Frequently Asked Questions About Selling ???? Will this take a lot of time? It will take less time than organizing a garage sale. Our user-friendly online tagging system helps speed up the process. Once you sort your items, just enter online and print anytime at any printer. Then attach your tags and you're ready to go! I usually just donate my items. Isn't that more beneficial to the community? You can mark any or all items that do not sell for donation. The items are passed on to local charities and distributed back into our community. We provide a receipt for donated items. How much money will I make? Sellers will get a check for 65% of their sales or 70% if they also volunteer. The average seller check is between $300-$400. Of course, that amount will vary based on how many items you bring to the resale. Some sellers consistently make over $500! Won't I make more money if I sell it myself at a garage sale or list it on a buy/sell/trade group? True, you don't have to pay a registration fee or give up a percentage of your sales if you hold your own garage sale. However, we do most of the work for you including advertising. We typically have between 600-700 people walk through the door. Will you get 700 people at your garage sale? Do you still have questions? E-mail Jenni at kidstuffresale@gmail.com! I'm happy to help!